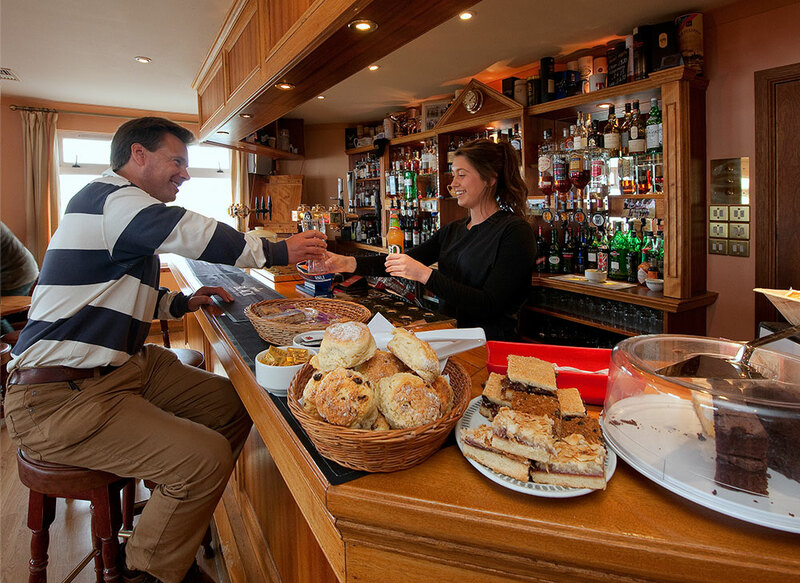 We are perfectly situated by the pier overlooking the Sound of Iona. Ideal for dolphin watching or waiting for the ferry. Our spacious self-service cafe is open from 10am, serving coffee and freshly baked scones to sit in or take away. Choose from homemade soups, hot snacks, sandwiches or healthy salads. Our Mull mussels or fish and chips are family favourites. With panoramic views towards Mull, Erraid and the Torran rocks, this is the perfect place to sit and relax. Sample a fine single malt or enjoy a refreshing pint. From 6pm we offer an evening menu, served in the relaxed and informal atmosphere of the dining room and bar. Local produce, fresh seafood and traditional favourites feature daily. If you are looking for accommodation on iona, why not visit www.martyrsbayiona.co.uk? Our special dishes (many using fresh, locally landed fish and shellfish) change daily. A beautifully light, vibrant white with refreshing citrus characters. Bursting with vibrant zesty fruit and exotic guava. Refreshing, crisp and aromatic. Lovely ripe melon and apple characters mingle with touches of pear and honey. Bright, zingy and well balanced. Bright and fresh with aromas of white flowers and delicate stone fruit flavours. A wonderfully aromatic wine showing fine mineral notes, kiwi, hints of herbs, leaves and a touch of gooseberry fruit. A delicious, pale pink rose with gentle strawberry fruit flavours. Juicy and succulent with ripe red fruit and savoury cherry characters. Soft, super juicy and packed with ripe, plummy fruit. A rich, well balanced example of the classic Aussie blend. Lush black fruits with touches of woodspice and cassis. Intense cherry red colour, ripe black and red fruits, spices liquorice and chocolate aromas. Packed with moreish notes of sweet cherry fruit and spicy undertones. Crisp and deliciously with ripe apple and pear flavours. A beautiful fruity, fun frizzante! Ardoran House offers luxury bed & breakfast accommodation with large guest rooms, a light airy lounge and conservatory with the added luxuries of a spa bath and sauna. Please contact use with any questions and we will be happy to help. We are now open for 2019.